No APR payment for purchases and balance transfers in first 15 months. You will not pay annual fees for this card. You are going to pay 5% for balance transfers and cash advances. This is very high rates. You will pay 3 percent more for foreign transactions. High interest rates for purchases and balance transfers. There is not any rewards, bonuses or cash backs with the card. 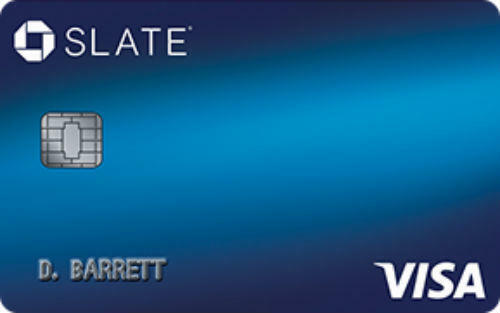 Chase Slate Credit Card is a simple credit card of the company which doesn’t offer any rewards or bonuses. Card’s APR is quite high for a simple credit card. However you are not going to pay any annual fee for it. There is also no APR for Balance Transfers and Purchases. Fees of the card are also high when it is compared with other simple credit cards which are offered by other companies. You can check your FICO score free with this card. You are not going to pay penalty APR at late payments. If you have a fair credit score, we recommend you to look for another card. 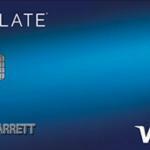 You can see Chase Slate Credit Card rates below. There are also user reviews and editor scores. Regular: 16.99% – 25.74% None None 3% $10 or 5% 26.99% $5 – 5% 0% for first 15 months.